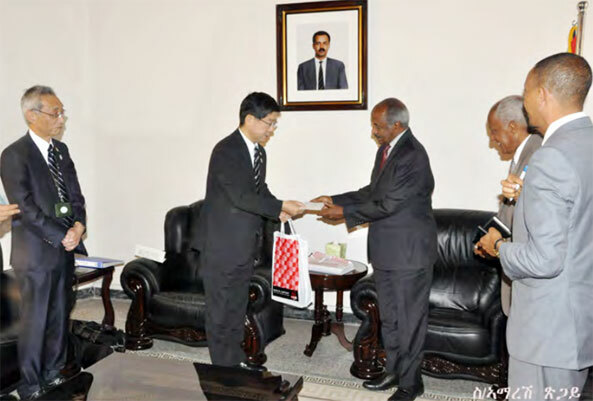 A JAPANESE government delegation headed by Mr. Hiroyasu Kobayashi, Ambassador in charge of RECs, Peace and Security in Africa, held talks with different Eritrean government officials focusing on strengthening bilateral relations and relations of partnership. 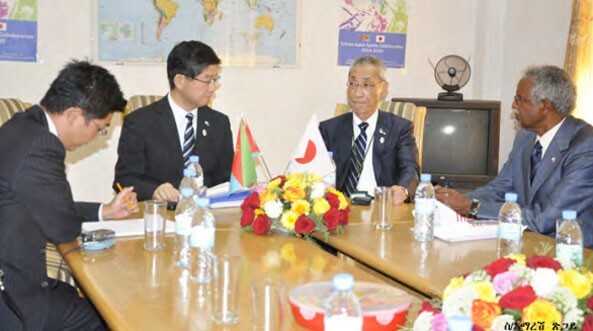 In the meeting with Foreign Minister Osman Saleh, the delegation conducted discussion on ways and means of enhancing Eritrean-Japanese cooperation in the educational, technical and professional domains. Ambassador Hiroyasu stated that the visit is particularly aimed at promoting closer bilateral cooperation in various spheres and ways of strengthening relations of partnership. Also in a meeting with Ambassador Zemede Tekle, Sports and Culture Commissioner, the delegation held discussion on developing sports in Eritrea, human resources development, making available sports facilities and infrastructure, coupled with the possibility of putting in place Sports School here. Moreover, the delegation held discussion with Mr. Semere Russom, Minister of Education, and Maj. General Ramadan Osman Awliyai, Administrator of the Central region, on fostering cooperation of partnership. The Education Minister commended the proposal made by the SEISA Group regarding the possibility of providing lessons in scientific sports academic course and the putting in place of Sports School, among others.